Glossier Has Popped-Up in Toronto!!! It is safe to assume that by now the entire millennial population has heard of Glossier, the minimalist beauty and skincare company that has taken the Instagram world by storm. On the off chance that this is new information and the name Glossier has never passed your lips – or your screen – then consider this your formal introduction. Glossier was founded by Emily Weiss and born from her beauty blog Into the Gloss that she started almost seven years ago while interning at Vogue. The brand encompasses a small range of skincare and cosmetics that is offered to the masses in sleek minimal white and pink packaging. The best part is that all of their products are affordably priced with women in mind who don’t want to break the bank to buy a quality skin cream! This past July Glossier began offering online shipping to Canada and their legions of followers responded with enough enthusiasm that Glossier has *finally* decided to visit us personally from the Empire State. With tubes and bottles of Glossier magic in tow no less. 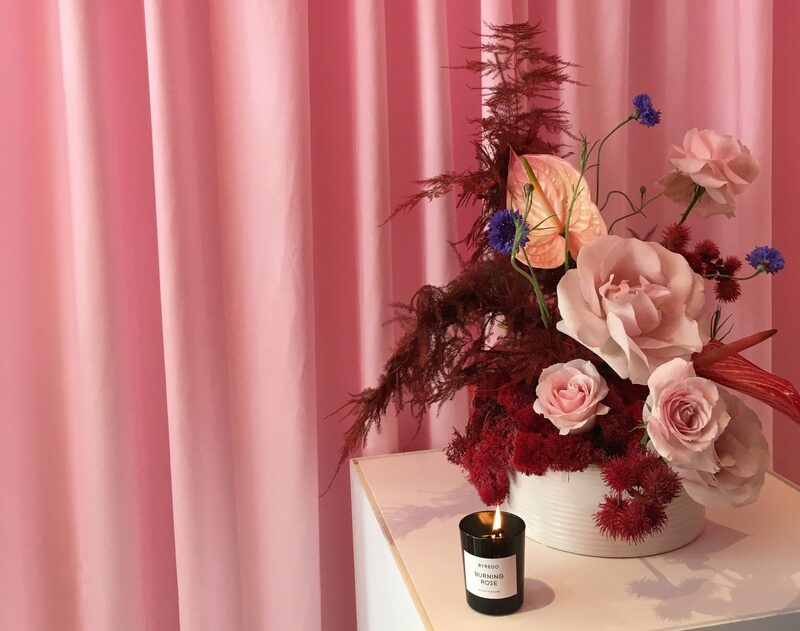 Starting September 8th until the 14th Glossier is popping up on Queen St West in all of its pink glory and is offering their entire range of products with the opportunity to try before you buy. No comment needed for this one. Just buy it. Here are some photos of the space – but be forewarned, it’s just better to go IRL. The Glossier pop up is located at 1056 Queen St West and is open from 12-8pm Monday-Saturday and Sundays 12-6pm until Thursday September 14th. Bring your credit card (only CC will be accepted for payment) and prepare to be wowed as you step into the pink beauty wonderland of your dreams. Your skin will thank you, I promise.